Clint Bowyer threw the monkey off his back at Martinsville (Va.) Speedway in March, when he ended a winless streak and claimed his ninth career Monster Energy NASCAR Cup Series victory and first since joining Stewart-Haas Racing (SHR) in 2017. With the monkey gone, he’ll turn his attention this weekend to conquering a monster named Miles. As he said, Bowyer isn’t a stranger to victory lane at the 49-year-old track. He owns two Xfinity Series victories. He led 70 laps and beat Matt Kenseth by .547 of a second on Sept. 23, 2006 to win his third of what would be eight Xfinity Series victories in his career. His most recent Xfinity victory also came at Dover Sept. 26, 2009 when he led 83 laps and beat Mike Bliss to the checkered flag by 1.319 seconds. In 24 Cup Series races at Dover, Bowyer owns two top-five finishes and 13 top-10s while leading 43 laps. In 2017, Bowyer showed he still knows how to get around Dover. After starting 22nd in the June race, he ran as high as fourth until lap 97, when his crew noticed a mechanical issue while he was pitting under caution. He drove to the garage for repairs, putting him 18 laps down and leaving him with a 31st-place finish. In the October race, Bowyer started 19th and climbed to sixth in the final stage, often turning some of the fastest laps of the race. 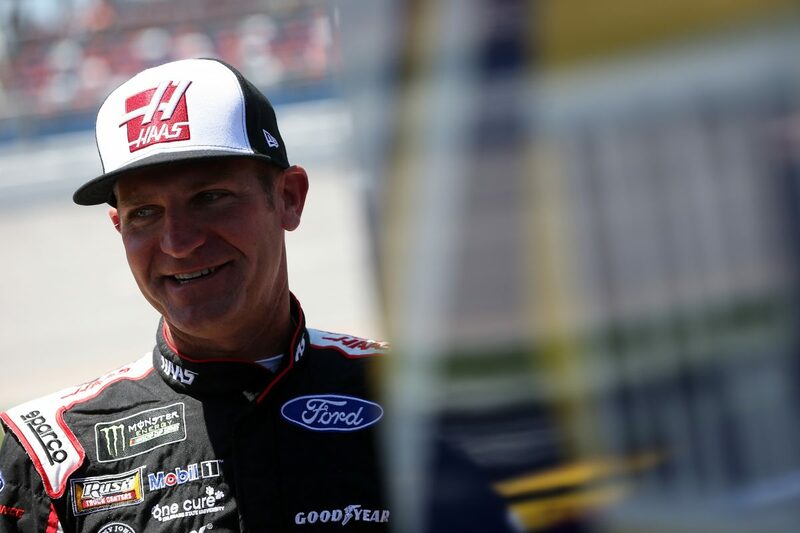 Bowyer arrives at Dover after his worst finish of the season when a late-race accident ruined what appeared to be a sure top-10 finish at Talladega (Ala.) Superspeedway. After falling two laps behind the leaders in the early going, Bowyer battled back to return to the lead lap and raced in the top-15 when a multicar accident with less than 25 laps left ended his race. Despite the Talladega disappointment, it’s been a resurgent year for Bowyer. After 10 races in 2018, Bowyer has posted a win, two top-fives and six top-10s. He’s fourth in points, 112 out of first. The entire four-car SHR team is running well in 2018, having posted four victories, two poles, 10 top-fives and 22-top 10s, and the SHR Fords have led 1,018 of 3,235 laps. The 2018 season marks the 10th anniversary of SHR. The Kannapolis, North-Carolina-based team is co-owned by Tony Stewart and Gene Haas and has recorded 43 victories and 35 poles since its inception in 2009. Stewart won the 2011 NASCAR Cup Series title and Kevin Harvick gave SHR its second title in 2014. SHR’s Kurt Busch won last year’s Daytona 500, and Harvick has won three times in 2018 to go with Bowyer’s victory this season. SHR has two victories at Dover (Stewart in June 2013 and Harvick in October 2015) and has five top-fives and 15 top-10s in 54 starts.